GOKPOP | Exclusive K-News in Malaysia & Singapore: Recreate your favourite K-drama scenes in Seoul! Recreate your favourite K-drama scenes in Seoul! Annyeonghaseyo! Do you wish to set foot on the filming sites where your favourite OPPA (오빠) or ONNI (언니) has been to when watching all the K-dramas? Here are some of the most popular filming locations in Seoul that you can re-enact your own Korean drama scene! N Seoul Tower, known for its futuristic decoration of artistic media art displays through the use of stunning display panels, making it a romantic spot for a hot date. 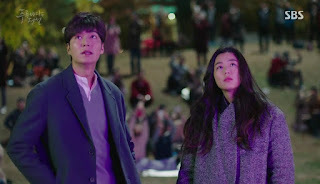 Thanks to “My Love from the Star”, tourists, especially couples, began flocking the roof terrace with their locks to imitate the romantic gesture signifying the unbreakable bond of the heart. At the highest point of the tower, visitors can enjoy the fairy-tale like panoramic view, especially when sun is about to set. On the way down from Namsan Mountain, Korean drama fans can recreate the scene shot from “Boys over Flowers” where Gu Jun-pyo, played by heartthrob Lee Min-ho, waited patiently in front of the N Seoul Tower for his lover. Spanning across almost 500km through the city, the Han River has been the perfect background scene for several contemporary Korean dramas such as “Lie to Me” where actors Yoon Eun-hye and Kang Ji-hwan are seen cruising along the river in adorable duck boats. Just like Heo Joon-jae (Lee Min-ho) and Shim Chung (Jun Ji-hyun) in popular drama “The Legend of the Blue Sea”, you can also enjoy the spectacular Seoul International Fireworks Festival, held every October in the Hangang Park, by the Han River. If that is not enough reasons to visit, lookout for the Banpo Bridge for the light and water shows. Installed along 570m on both sides of Banpodaegyo Bridge, some 200 lights illuminate the fountain as it sends out dancing, rainbow-colored jets of water in the air in musical harmony. Gwanghwamun, the largest gate of Gyeongbukgung Palace in Seoul has been featured in dramas of various genres from action to fantasy. 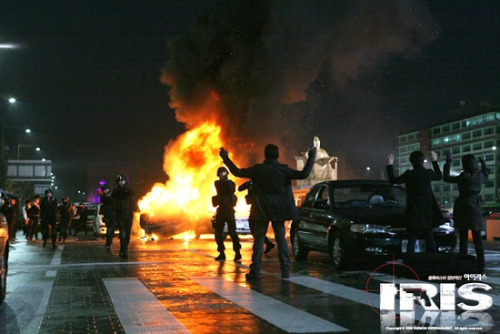 One of them being, the exciting scene from “Iris” when Hyun-jun (Lee Byung-hun), Sun-hwa (Kim So-yeon), and Seung-hee (Kim Tae-hee) tried to stop the North Korean terrorist from setting off a nuclear bomb. When at night, the gate is illuminated with lights, making it more impressive and stunning. This was also a background for one of the romantic scenes in the TV series “Queen In-hyun's Man”. Koreans see Gwanghwamun as an icon of Seoul. The King Sejong bronze statue in the Gwanghwamun square is the main attraction where it portrays the life and achievements of the great man himself during the Joseon Dynasty. Park-ha (Han Ji-min) walks through Ihwa Mural Village in one of the episodes of Rooftop Prince with Yong Tae-yong (Park Yoo-chun) following her at a distance. At one point, she sits down at a beautifully painted staircase. This famous spot in Ihwa Mural Village, initially a residential village, has morphed into a popular spot for photoshoots and filming, gaining popularity among the locals and tourists. Every space and corner of the street is beautifully painted with creative artworks by local artists and university students. Expect to be immersed in the remarkable spaces with mural hunting at the small village on the slopes of Naksan Park. If you decided to visit Seoul to see the drama's shoot sites. These locations definitely worth a visit. Who knows? You may even bump into your favourite K-drama star! But here are a few tips to keep the energy alive throughout the day. When traveling, have a reliable rated IP68 dust and water resistant smartphone, with amazing front and rear cameras of 16MP and f1.9 lens like the Samsung Galaxy A Series (2017) to capture all those scenic views when exploring the trails of TV and movie sets in Seoul. Also, don’t forget souvenirs and memorabilia from your favourite K-drama! 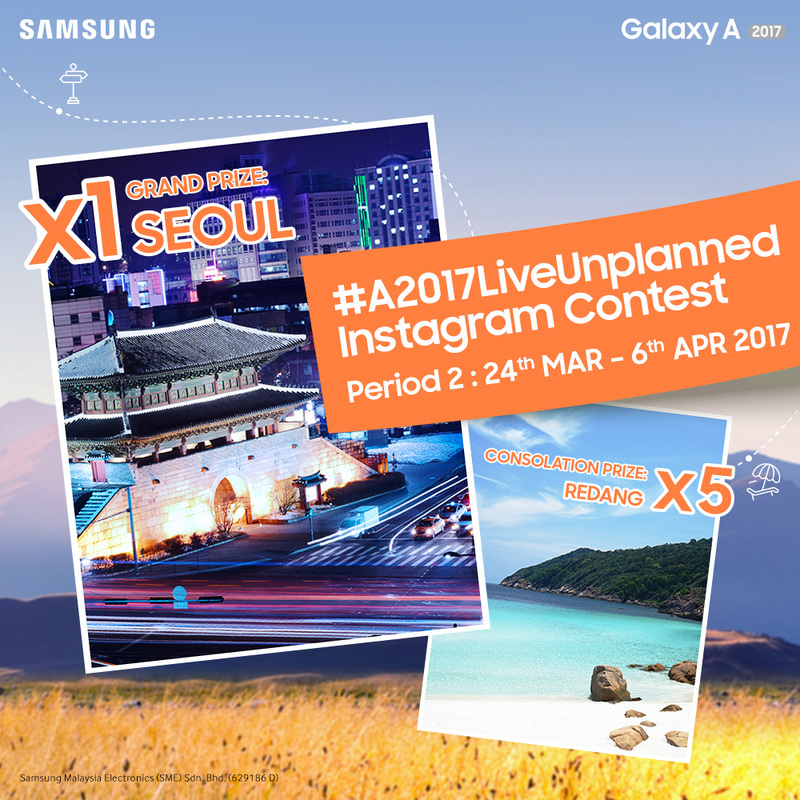 Your chance to wander through these charming sets with three of your friends may just be around the corner with the #A2017LiveUnplanned Instagram Contest. To participate, simply purchase a Samsung Galaxy A7 (2017) or A5 (2017), post either a photo or video of your most YOLO moment on Instagram, and insert a creative caption with the hashtags #A2017LiveUnplanned and #myGalaxyA2017, and tag @samsungmobilemy to be in the running. The most creative submissions will be chosen and winners get to indulge in an unforgettable trip with flight and accommodation sponsored by Samsung! Upload your winning YOLO moments now and start living life unplanned! For more information on the contest, please visit www.samsung.com/my/a2017liveunplanned.